A rougelite Dungeon Crawler Action Adventure hybrid of great tight gameplay and soothing sound design. Where am I? And What’s this gross dead body? You’re on an abandoned island filled with monsters and plagued, you have no name as you’re just a green dead cell inside a body. 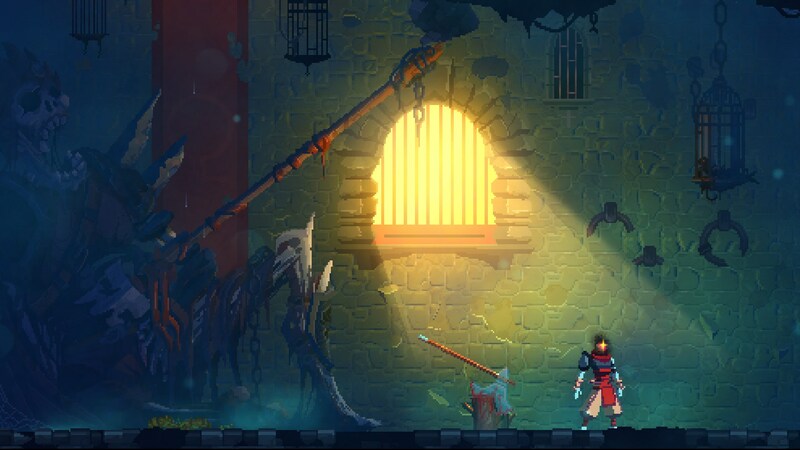 That’s the short of it, the long of it is up to you to figure out as Dead Cells takes the ever loved Dark Souls or Everyone Went to The Rapture approach to the story in which you, the player have to stop and explore the areas you are hacking and slashing through to piece together a narrative. These areas are massive and ever-changing as each level is procedurally generated, or as an NPC will state herself, “It feels like this island is shifting… Bah, nonsense”. The level’s aesthetic will always be the same, the sewers will stay the sewers, the castle rooftops will stay that, it’s just that the pipes of the sewers, the rooms, and buildings of the castle will change. What’s the point of this? This Island is dumb, and there are mutant chunks in my pants. 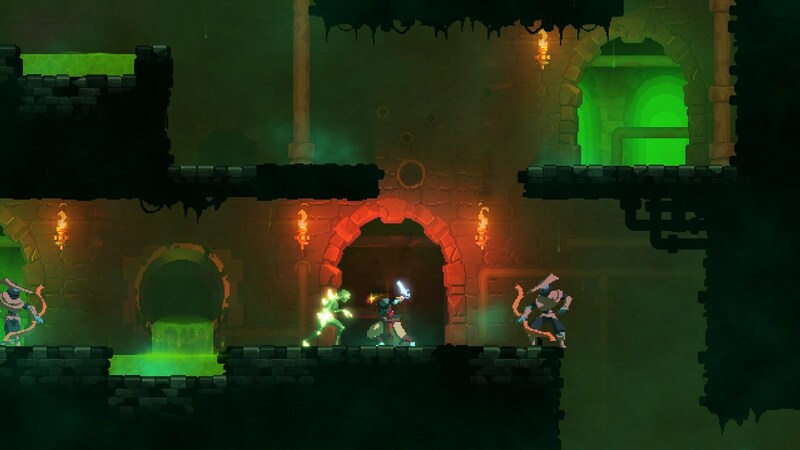 Dead Cells is a roguelike Metroidvania dungeon crawler. That’s what’s on everyone’s review as their little splash page for their review anyways. It’s a true statement, don’t get me wrong, but it doesn’t explain why you or me, or your weird cousin who smells like glue and 20 sided die will like playing this game, so far I’ve just told you that the story is scattered and that each level changes each time you run through it, not what you’re doing through each lovely pixel dungeon. 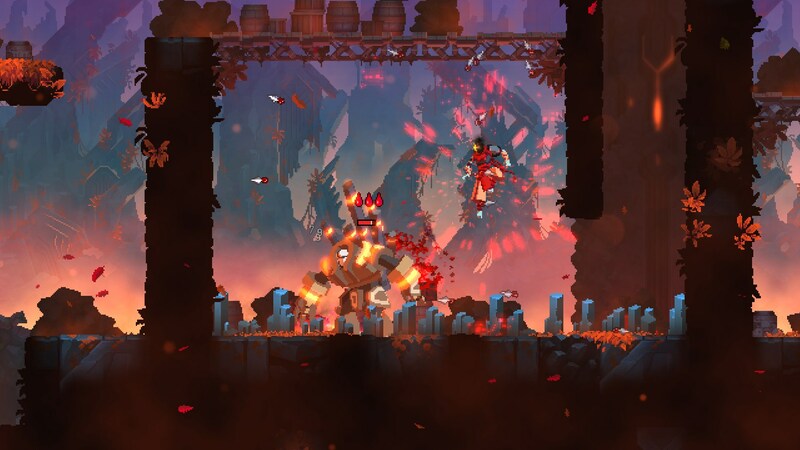 As a roguelike, Dead Cells promotes itself as a game in which you die, learn, kill, repeat until you become a swift force of nature rushing through the game like Mexican food rushes through me. Each dungeon has various enemies that will require you to think of several things, and this influences your playstyle. Do you want to take your time and kill everything to amass a huge pile of gold in your pocket? 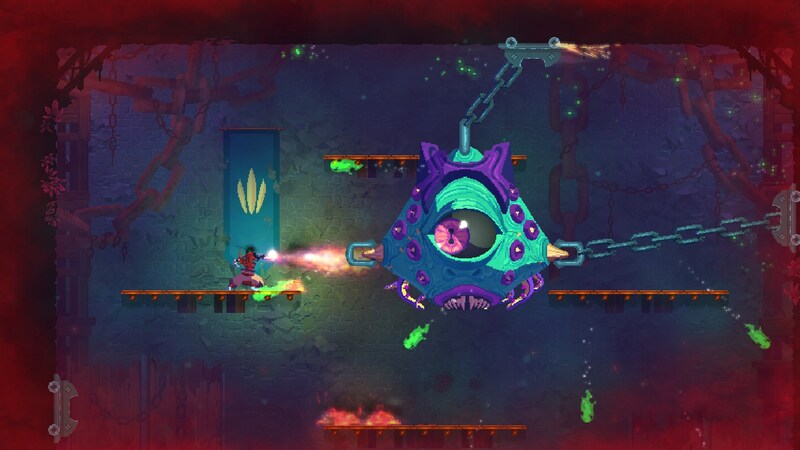 Do you want to rush through every level, speedrunning it all to reach the timed doors that give you extra loot? Or do you want to find each secret zone in order to learn more about the island? 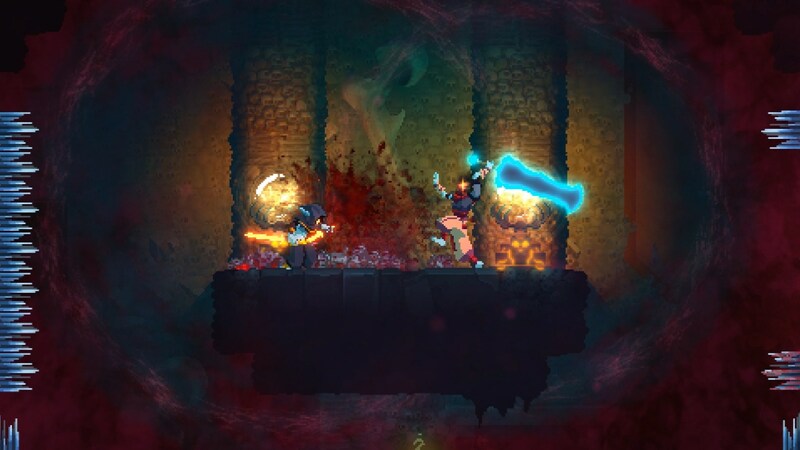 Whatever your playstyle is, Dead Cells has a place here for you to sit down and enjoy, it is flexible and satisfying in each death. 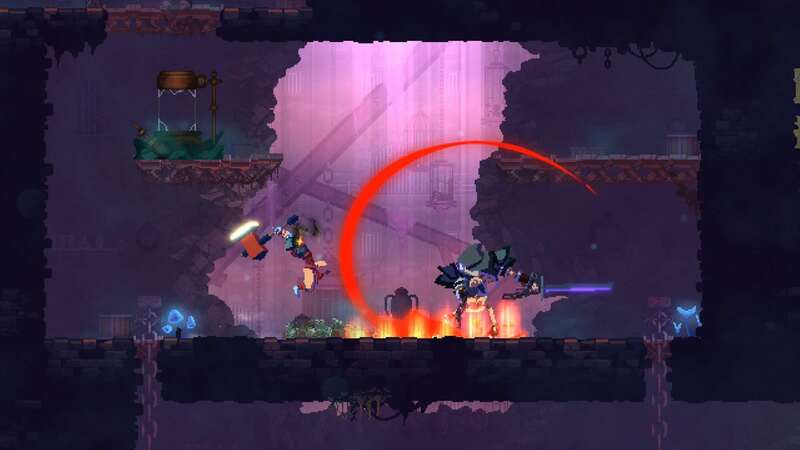 The bosses remind me of popular 2D action adventure games such as Megaman X or Castlevania, they are both challenging and understandable as the game is designed to teach you about each element from the moment you start playing. Is someone rushing at you? Block or dodge. Is there fire or acid on the floor? Jump. Overwhelmed with enemies? Run or throw a grenade. 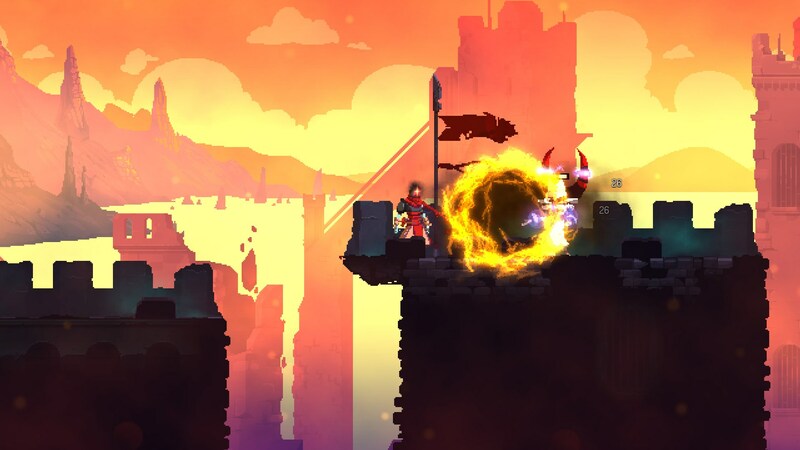 Dead Cells looks like a crazy game that requires immense effort just to survive, and in a way it definitely is. Yet in its core, it is a simple game that only requires simple reflex thinking to achieve success which is why I love the game. This game is accessible to anyone, yes even the journalist who couldn’t complete the cup head tutorial as the controls are not forgiving but rather extremely tight and comfortable. 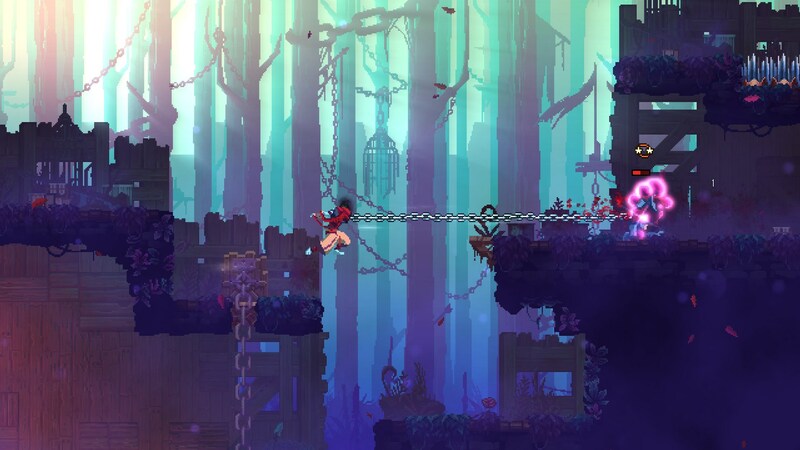 This is another challenging game that drives across the point that if you die, then it is your own fault, you can never blame the game as it’s difficulty curve is both dependent on your ability and your current situation in the game. 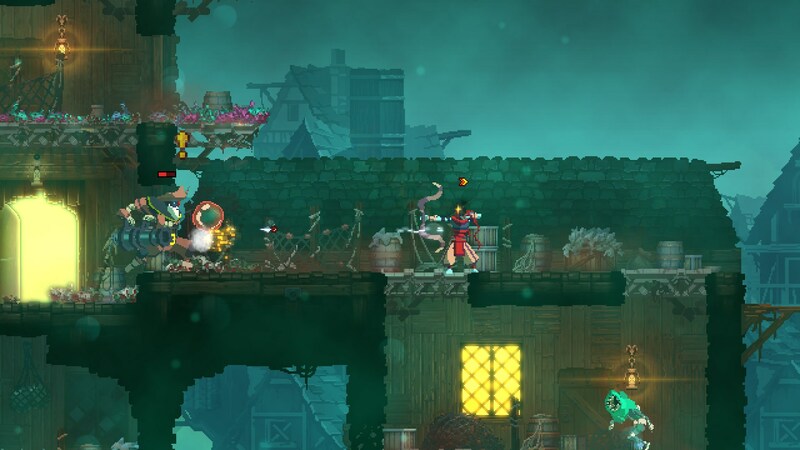 The point of it is to obviously get through the end while upgrading your abilities, collecting multiple gadgets, weapons, and magic to both to kill disgusting things immensely faster or with more style while accessing areas using gadgets called “runes”. Ok. But why do you even like this game? 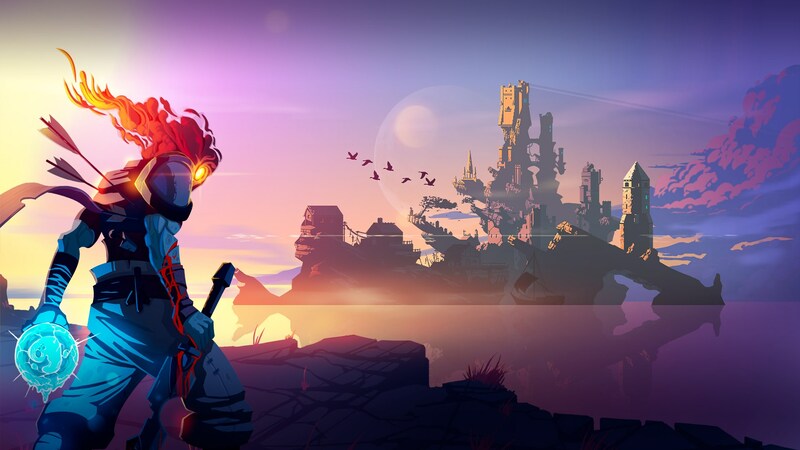 Dead Cells is a great nostalgic trip for anyone who has played the classic 2D action games. 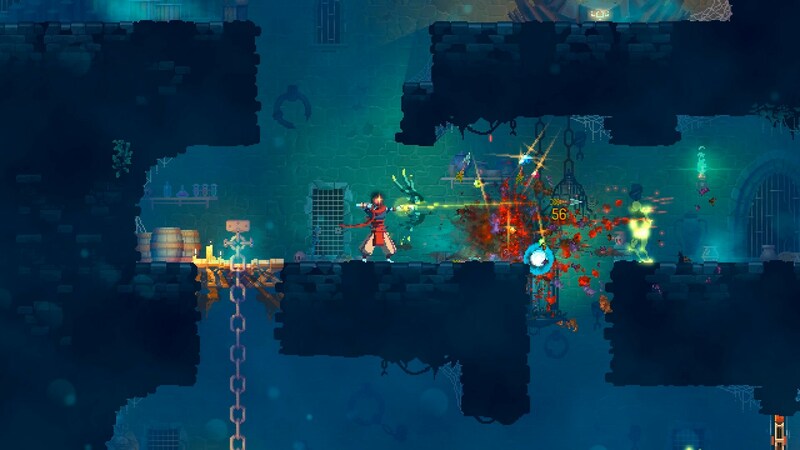 Like the genre suggests, MetroidVania games are reminiscent of Metroid, Castle Vania, Megaman X, etc. 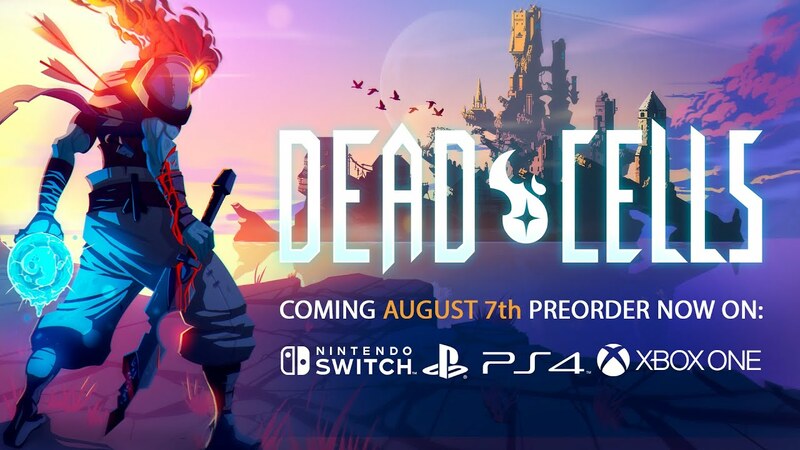 Seeing the trailer for this game made me think that this game would be something to make me feel young and curious again. Which it did, but what Dead Cells brings to the table is much more valuable than old and grayscale memories. 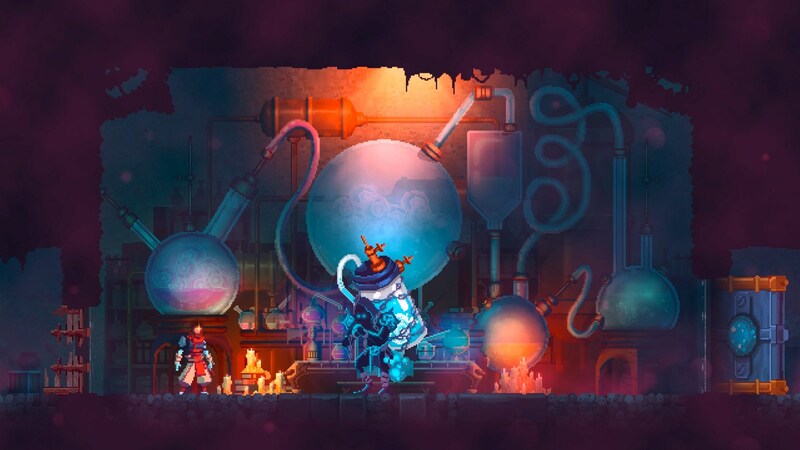 Dead Cells brings you into a grim world filled with cruelty and sadness using a beautiful depressing world along with soothing music to ease you in the pause menu with fast and panicked tempos during combat while combining Deadpool like humor with your character’s sarcasm and love of both violence and insults. A good example of this is a secret zone found in the beginning levels is that of a gardener who hung himself in his cell. 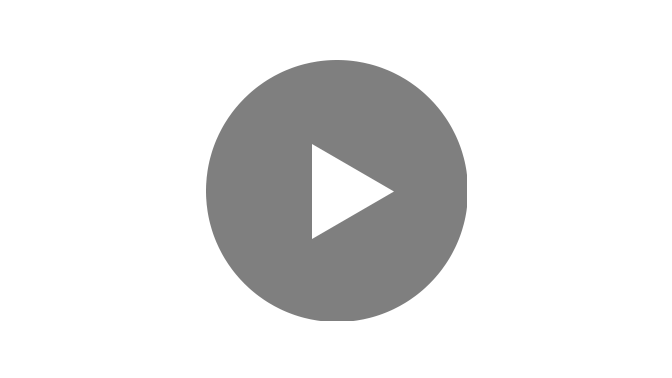 Your character examines the sad and somber scene of the florist’s suicide and says, “He must have wanted to choose his death, and he took the easy way out. A moment of silence… SIKE! I GOT BETTER THINGS TO DO”. To which your character kicks the sad corpse to receive loot and a blueprint. This insulting yet comedic scene paints a picture for the rest of the game. The island you are on is ravaged, on the verge of total destruction so that no one may survive, yet you do not care for the thousands who have died, you only care for yourself in a funny sense. It represents the average player of each game that brings about the classic yet tired scenario of “The world is dying”, the thoughts of each average player being “Who cares? I’m just here to kill and be killed”. Which in its own minuscule sense, is genius. Yawwwwwn. I don’t care. Wrap it up. 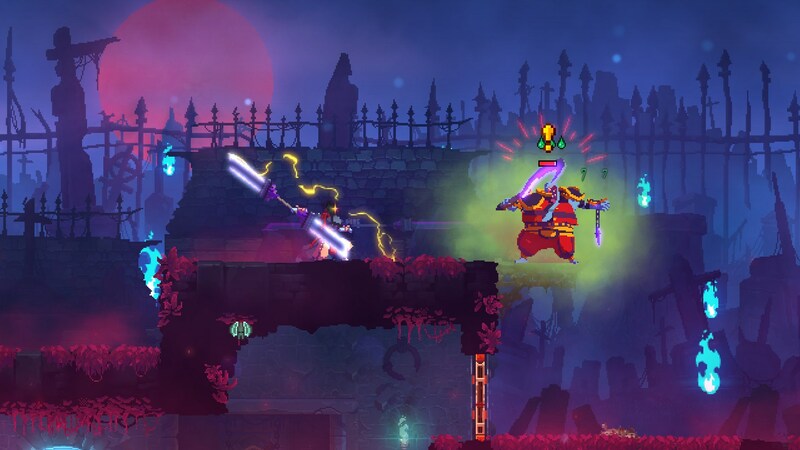 Dead Cells presents a dark and brooding world with a mismatched but lovable main character. It presents a great challenge while being extremely accessible to any player who cares enough to pick up a controller o keyboard. 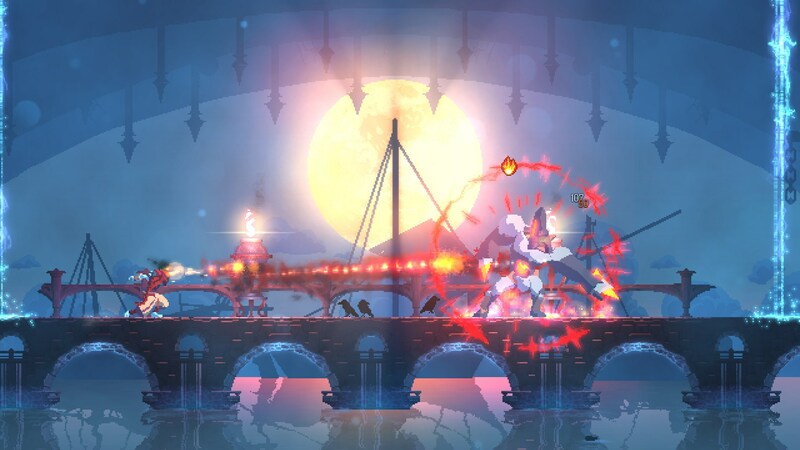 And it rewards those who push through the challenging bosses and dungeons with a never-ending stream of content that continues even after playing through the game. Its game design is a mentoring experience, and its controls are tight and responsive. It is worth its regular price of 35$, but I got it on a sale for 10$. Needless to say, I got my money’s worth.